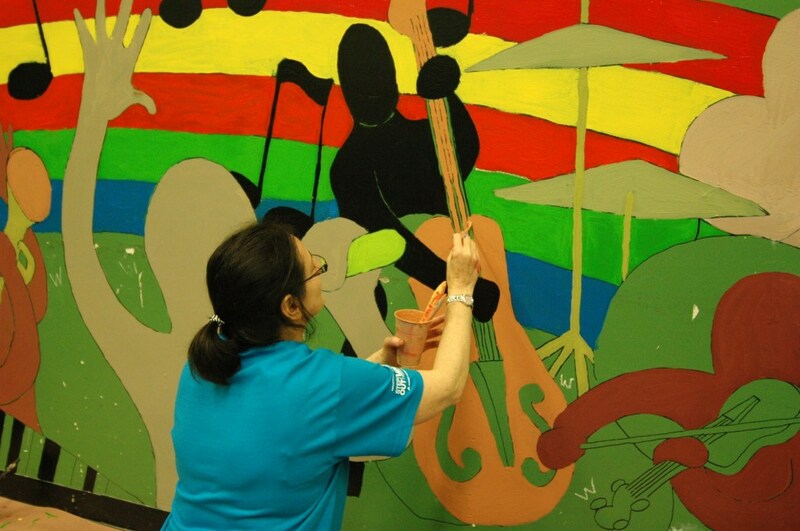 This volunteer helped paint this mural during Jersey Cares Day. The mural was sketched by one of our many talented mural artists. 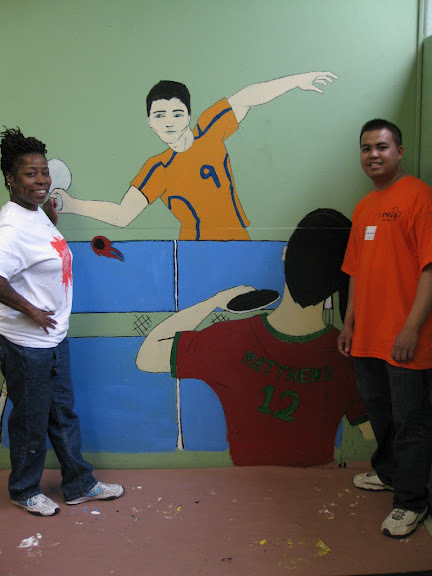 To get involved with this program, fill out a mural artist application today! 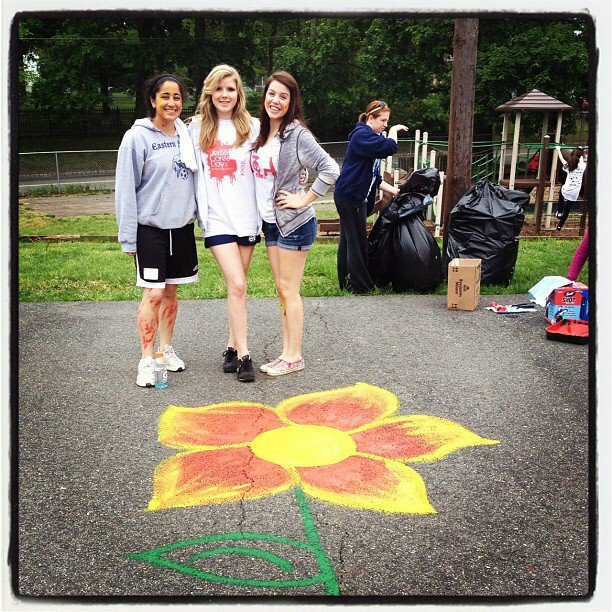 These volunteers helped to brighten up a cloudy Jersey Cares Day with this beautiful blacktop mural. 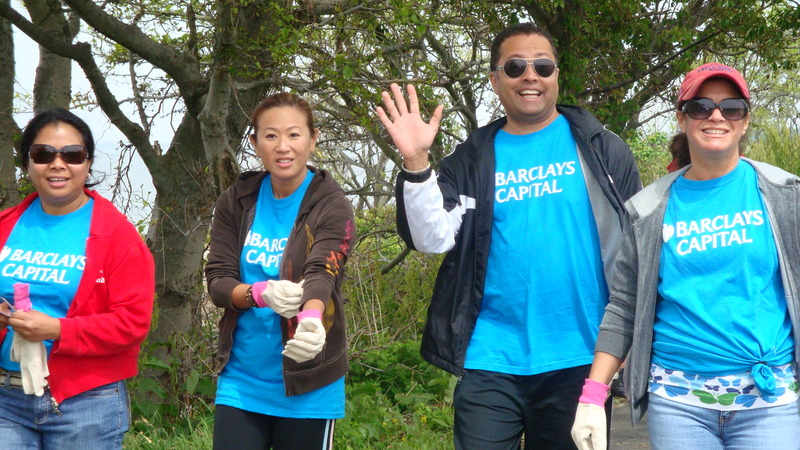 Thank you to all our volunteers who helped make the 14th Annual Jersey Cares Day a success! These volunteers get ready for a great day of landscaping with Jersey Cares. Thank you for your hard work!